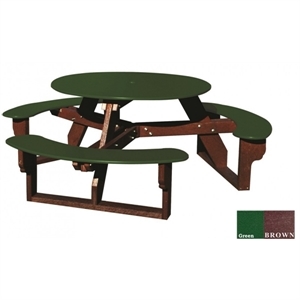 Recycled Plastic Round Picnic Table with Three Attached Benches, 212 lbs. 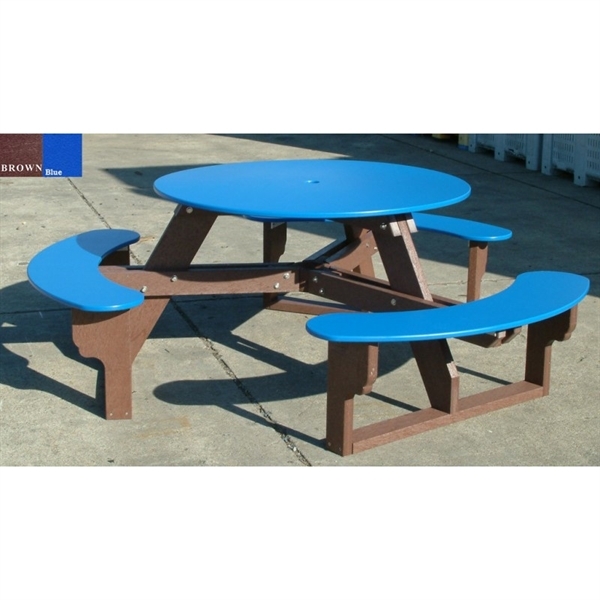 This recycled plastic picnic table features a 46” top with three easy access benches. Choose between a variety of colors for the top, seats, and base to match your company colors. Commercial grade recycled plastic lumber and stainless steel fasteners make a great picnic table that will last for years with heavy use. This eco friendly picnic table is made of 100% recycled plastic and will last for years in a commercial environment.